Nolan Mondrow just locked in $5.8 million in fresh funding for his startup. 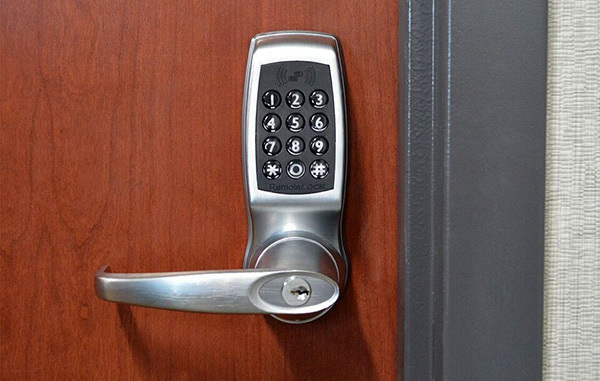 LockState, which makes cloud-based software to remotely control locks, announced the pending Series A funding round along with a move to a new office that’s twice as big. The company, which makes software for property owners to control locks through Wi-Fi, last week moved into a 7,000-square-foot warehouse at 2170 S. Delaware St. near Sante Fe Drive and Evans Avenue. The company employs 25. “We would expect to grow from 25 to 35 by the end of the year,” Mondrow said. Boulder-based Iron Gate Capital led the funding round. Prior to the recent raise, the company had raised $1.7 million, he said. Mondrow, 50, grew up in Aurora before heading to Tufts University for an undergraduate degree and University of Michigan for his MBA. In 2004, he was running a business brokerage operation when he accidentally became responsible for a container of safes a customer didn’t want. He brought them to Los Angeles and started a website to unload the safes, then started other websites to sell more products, including keyless locks. Airbnb property owners, for example, can work with LockState to send a code to guests to access rooms. The software is geared toward business owners who need to control access to properties in multiple locations. An Oklahoma truck stop company, for example, uses LockState to give truckers access codes to showers. LockState also makes locks that are manufactured in Denver, Taiwan, Hong Kong and China. It also pairs software with other companies making smart locks. The company charges customers per door. A monthly subscription starts at $1 for control of a single Wi-Fi door lock, and customers can pay for additional features. Mondrow said LockState has more than 20,000 customers, and 40 percent are in the vacation rental industry. Other customers include retail and industrial business owners.